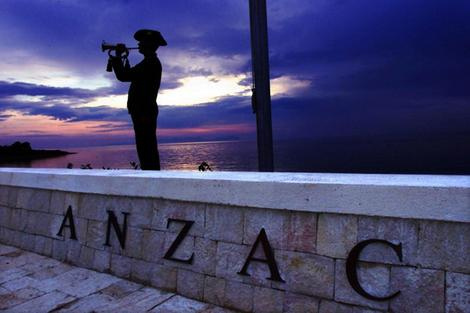 Today is ANZAC Day, a day of national importance for both Australian and New Zealand. ANZAC is an acronym for the Australia and New Zealand Army Corps. Whilst the day is an emotional one, starting at dawn with the sound of the bugler playing The Last Post and going through the veterans parades, the images of people making the trek to observe ANZAC day in places like Gallipolli and France, today I thought we would take a lighter approach. I have therefore teamed up with one of my favourite Kiwis....Maree from Just Add Books. It would be remiss of me not to offer Maree sustenance before we get started! Excuse me, don’t you mean feeesh and cheeeps? Ah, the accent jokes never get old! I remember being on a tram in Melbourne and hearing a VERY heated discussion about the nationality of Pharlap? Yes, we fight over the nationality of a horse! The same horse who made his name in Australia, whose body is in the Melbourne Museum and whose heart in the National Museum of Australia? One episode that we couldn’t go past, is one that still lives large in the memories of sports fans on both sides of the Tasman - the infamous underarm bowling incident which took place at the Melbourne Cricket Ground in 1981. With one ball remaining, New Zealand needed a six to tie the game, and in a very unsportsmanlike fashion, Australian captain Greg Chappell instructed the bowler, his brother Trevor, to bowl the last ball underarm so that the Kiwis couldn’t score. I am not a fan, so to be fair I would be happy for him to go back to New Zealand. 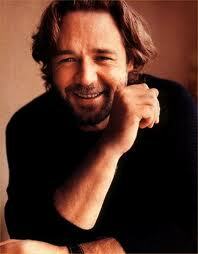 To be honest, you can have Russell Crowe. No, really. We don’t mind at all. Ha! Who knew we would fight over who didn’t get to keep Russell Crowe! What about Aussie legends Crowded House? Okay, those are FIGHTING words. What’s next, Split Enz? Pavlova? For all that we do tease each other, we do know that when the chups (cheeps) are down, then we will be the first to jump to each others aid, as evidenced over the last few years with the Pike River mining disaster and the Christchurch earthquakes. We fight like siblings, but like siblings we’re there for each other when it matters. Pike River and the earthquakes; whenever bad bushfires strike in Australia, volunteers from here don’t even hesitate before heading over the ditch to help out. Our friendship was forged on the beach at Gallipolli, in the trenches of the Somme and in the years and conflicts since. We may bicker like siblings occasionally, but at the heart of it, we know that when the chips are down, Australia and New Zealand will stand strong together. We honour the men and women* who have served for both of our countries on this day that unites us. We bicker and fight, yes, but if you try to take on one of us, you’re taking on both of us. Our history together is long and - let’s be honest more than a bit rocky - but when it really matters, we’re in it together. *Thanks for Sean for reminding me of the terrible omission I had made. We also honour the women who have served our country over the years, and who continue to do so. What a fun way to commemorate the day! I always think of the Marsden series when I think of ANZAC Day. Thanks Carrie. Interesting how certain books stick with you in certain ways. But yes, lest we forget. Thanks Bree! It was fun to do too. I have to say (as it is my only slight claim to fame) that I was at the MCG watching the infamous underarm match, at the grand old age of 11 or 12. The crowd had no idea what was going on (whereas the commentators began to guess so the TV viewers got some clue) and then the ball dribbled along the pitch. My whole family was at the game (Mum, Dad and three kids, of which I was the oldest) and I do remember that we were so furious we walked home rather than getting on a tram with a whole bunch of Aussies. When Dad went into work the next day, all his colleagues kept apologising to him. Then Robert Muldoon (then the NZ Prime Minister) made a comment about yellow being a good colour for Australians and Dad felt obliged to go round and apologise back. It's definitely a moment in history that you were there for! I remember having some sporting events in the UK that had the token Aussie either being taunted mercilessly or graciously rubbing in the victory! It was fun! Thanks for doing it with me!